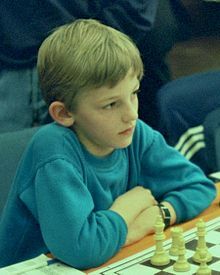 Alexander Igorevich Grischuk (Russian: Алекса́ндр И́горевич Грищу́к; born October 31, 1983) is a Russian chess grandmaster and Russian Champion in 2009. He has won two team gold medals and one individual bronze medal at Chess Olympiads. He was a member of the gold medal-winning Russian team at the 2013 World Team Chess Championship in Antalya. He has also won the World Blitz Chess Championships of 2006, 2012 and 2015. 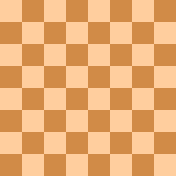 In the FIDE World Chess Championship 2000, Grischuk made it to the semifinals, losing to Alexei Shirov. In the FIDE World Chess Championship 2004 he made it to the quarter finals, where he lost 3-1 to eventual champion Rustam Kasimdzhanov. Grischuk finished in the top 10 in the 2005 FIDE World Cup, which qualified him for the 2007 Candidates Tournament in May-June 2007. He won his matches against Vladimir Malakhov (+2 −0 =3) and Sergei Rublevsky (tied at +1 −1 =4, winning the rapid playoff +2 −0 =1), to advance to the eight-player FIDE World Chess Championship 2007 tournament. In that tournament he scored 5½ out of 14, placing last in the eight-player field. In 2009, Grischuk won the Russian Chess Championship. In the same year he became the champion of Linares 2009, winning on tie-break over Vassily Ivanchuk because he had more wins. In 2010, he finished second in Linares to Veselin Topalov. Grischuk finished third in the FIDE Grand Prix 2008-2010, which qualified him as the first alternate for the Candidates Tournament of the World Chess Championship 2012 cycle. Upon the withdrawal of world No. 2 Magnus Carlsen from the candidates tournament, Grischuk was appointed to take his place. In the World Chess Championship 2012 Candidates tournament, Grischuk was seeded 6th out of eight players, and faced the odds-on favorite to win the event, world No. 3 Levon Aronian in the first round. After splitting the four regular games 2-2, Grischuk won the rapid playoff 2½-1½ to advance to the semifinals. In the semifinals, he faced world No. 4 and former World Champion Vladimir Kramnik. Because of his strength as a blitz player, Grischuk employed the strategy of drawing early with white and defending vigorously with black in order to force the match into a blitz playoff. The strategy worked, as both the regular and rapid games were all drawn. Grischuk then won the blitz playoff 1½-0½ to advance to the final. In the final, he faced 2009 Chess World Cup champion Boris Gelfand for the right to play Viswanathan Anand in 2012 for the World Championship. After drawing the first five games, Gelfand won the final game to win the match 3½-2½. Grischuk played in the 2013 Candidates Tournament, which took place in London, from 15 March to 1 April. He finished sixth, with +1−2=11. In November 2014 Grischuk took clear first place with 5,5/7 in the TASHIR Chess Tournament in Memory of Tigran Petrosian. This achievement enabled him to cross the 2800 Elo rating mark. 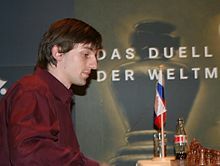 Grischuk is one of the best blitz chess players in the world, having once held the record for highest rating achieved on the Internet Chess Club. In 2006 he won the World Blitz Championship in Rishon Lezion, Israel with 10½/15. He won his second World Blitz Championship in 2012 at Astana, Kazakhstan with 20 points out of thirty games. In October 2015, Grischuk won for the third time the World Blitz Championship in Berlin with a score of 15,5/21, half point ahead of Maxime Vachier-Lagrave and Vladimir Kramnik. Grischuk is married to the Ukrainian GM Natalia Zhukova.